Another week closer to our trip to Disney. Yay! We've been busy planning our trip and I've even been checking out a book for the occasion: The Complete Walt Disney World 2010 , which I got from NetGalley and will be reviewing after we return from our trip. It's from last year, so it's missing some important information, like the fact that Toontown is now closed. Bummer. But it's definitely useful. I reviewed a great children's geography book called Fifo "50 States" by Hayley Rose. It's a wonderful resource if you want to teach your kids about the United States. And I shared a few books my kids have been reading in my What My Children Are Reading post. I'm reading My Stroke of Insight by Jill Bolte Taylor this week. It's a fascinating memoir written by a woman who experienced a stroke. I'm also reading Aliens on Vacation by Clete Smith to my son. It's a cute story about a kid who spends his summer with his grandmother who runs a bed and breakfast for aliens! I going to read Serena by Ron Rash next. I hope you enjoy your week! Happy reading! 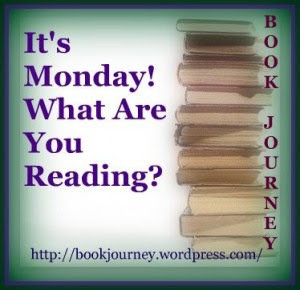 Here is my What are you reading Monday! I hope you have some good books to take with you to Disney! Thank you for your comment! Happy reading! Wow, sounds like you've been busy with some good books lately! Is this your family's first trip to Disney? We haven't been in many years, a fact my kids complain about. We took them 3 times before my oldest turned 5, just because I used to travel a lot for work, and we took advantage of every free trip to Orlando that came up! No more of that these days. Hope you enjoy the trip - your kids are at great ages for it! Enjoy and I'll have to check out Zero Day. I need to just finish My Stroke of Insight, I took a little break, it is so helpful to me but hurts to read also. I have just finished a brilliant novel. Exit The Actress! I hope you get the chance to check out my review as this is worth reading.